While next-generation sequencing (NGS) has driven recent advances in precision oncology research, it often falls short when identifying the molecular mechanisms underlying many malignancies. As a result, alternative NGS-based approaches are needed to identify oncogenic drivers and potential drug targets. To address this challenge, Stephen Mack of Baylor College of Medicine has developed a novel approach to assess transcriptional and epigenetic regulatory activity in chemotherapy-resistant brain tumors. 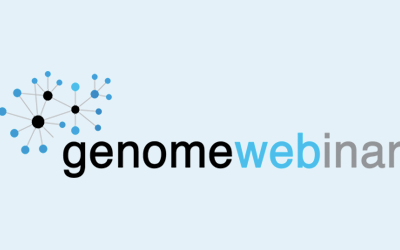 In this webinar, he will define a framework for integrating multi-omics NGS data to discover and confirm novel drug targets in high-risk neurological cancer models. Using tumor glioblastoma, ependymoma, and diffuse intrinsic pontine glioma models, Dr. Mack will demonstrate how integrative analysis of H3K27ac ChIP-seq and RNA-seq data enabled his team to identify molecular pathways that can be inhibited by small-molecule drugs. Dr. Stephen Mack’s research interests lie at the intersection of neuro-development and translational neuro-oncology. His group is building an infrastructure for integrated multi-omics analyses that can be applied to understand the cellular origins, epigenetic programs, and transcriptional regulation of pediatric cancers like ependymoma (the third most common childhood brain tumor). His vision is to use ependymoma as a model that can be applied to develop therapeutic platforms in other pediatric brain tumors. Dr. Mack received his PhD from the University of Toronto in 2014 and held a fellowship in Cancer Genetics and Epigenetics from Cleveland Clinic in 2017.